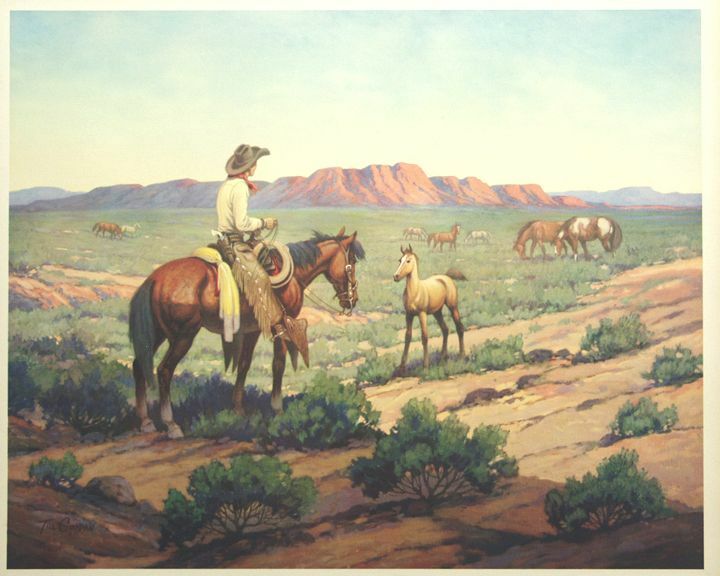 Well-known lithograph by Tillman Parker Goodan (1896-1958), who died in the saddle in 1958. A cowboy's horse is nose to nose with a curious colt. 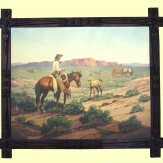 This is one of a series of 8 brightly colored lithographs known to have been produced by the Wallace China company, for whom Goodan designed the Rodeo china. 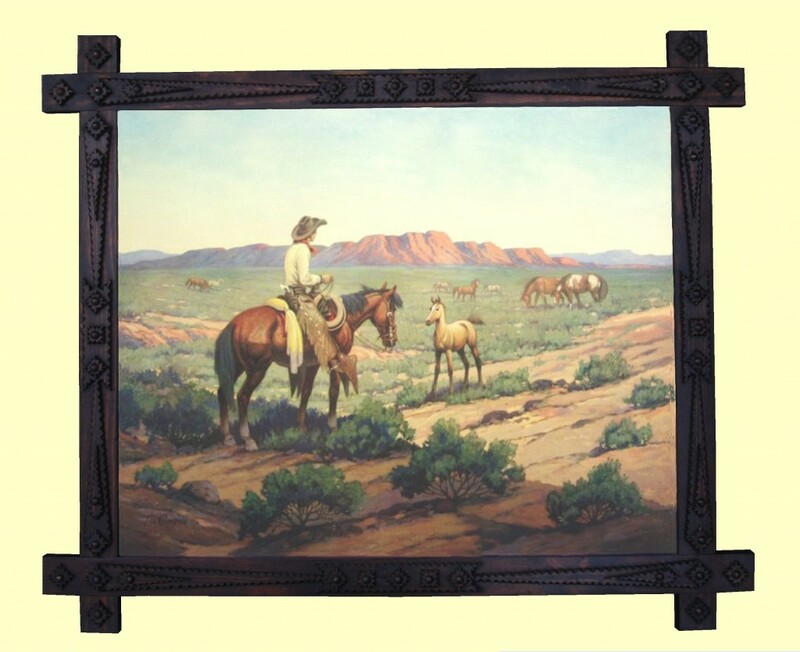 Framed rustically in a hand crafted tramp art style frame by Jeff Vest, a Jackson Hole woodworker.